Last year I made the Jasper Sweater Dress from Paprika Patterns and I wear it often. In my search, I also found Victory Patterns and bought Lola. While both designs are sweatshirty, each have distinctive differences. Lola has raglan sleeves and a flat ribbed neckline as well as roomy pockets on each side panel. Another difference is the hi-lo waistline. It’s sort of like an empire waist, but only in the front. Finally, the fit silhouettes my body more than with the Jasper. My husband likes it that way ;). 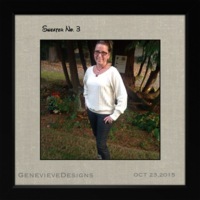 I made the size 10 based on the finished garment measurements…I am really loving these pattern companies including FGM in ther patterns. I never use my body measurements to select a size to make up anymore. 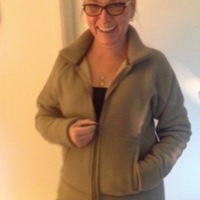 The fabric was a poly sweater knit from FabricMart…it didn’t list as such, but it is a hacci knit I think. When it arrived, it wasn’t what I was expecting…it is a little shiny for my taste. However, I think I like it….it worked for this make. I didn’t spend very much…$5/yard. It took just under 2 yards. 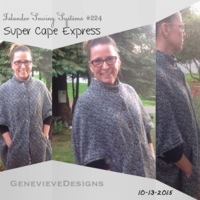 It’s a little lightweight for this pattern becaus it caused the pockets to droop a little…I guess I could say instead that they are slouch-pockets. Yes, I like that, it sounds like I did this intentionally ;). During the cutting and marking, I kept mumbling and grumbling under my breath that there are way too many notches….but I snipped every one of them. As it turned out, it was really helpful to have all those match points! I usually follow instructions the first time I use a new pattern….usually. The instructions and illustrations are in a tidy little booklet, love that. Sometimes those guidesheets from, say the Big4, require beating into submission! As always I complete all the small pieces before construction. That’s a sewing tip I highly recommend to all of you reading my blog. It makes the whole project seem so much quicker, even though the time spent is probably the same if you were to track it. But I’m not going to do that….I prefer to go on feelings and emotions. Ha! I pretty much sewed it right out of the envelope (or box in this case ;)). The only pattern adjustment was to remove 2 and 1/4″ from the length. Initially I removed just 1″ internally. Once it was almost done, I decided to remove another 1 and 1/4″ from the bottom. I’m glad I did it this way because I think I like the pockets a little lower since they sort of slouch. 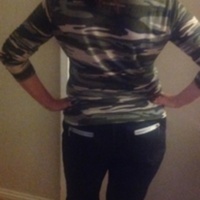 If they were higher up, they would add some width at my low hip area…no one wants to look wider, am-i-right? I usually need to adjust for a sway back by 3/4″, but this fits really well at the back waist….I think the waistline seam paired with princess lines makes the difference for me on this one. The only construction change I did was to fuse the back of the little triangle thingy at the CF neckline…it helped tame it for finishing the edges so it didn’t get stretched out in the process. I like it! This dress is so comfy and could easily be something I will throw on to laze around the house with some legging or really high knee socks. 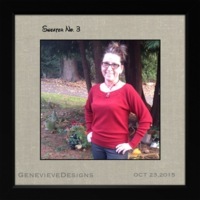 I’m sure I will make this again out of a really nice swearshirt fleece, but it will need to be of high quality with stretch for sure. There are many design options with this pattern…like color blocking perhaps? What do you think, have you made this or similar? Share what you’ve done….I like seeing what other sewers’ come up with. :). Hello again! 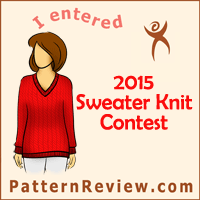 I’m back with my entries for the Sweater Contest over at PatternReview. I don’t expect to win, I simply wanted to join in on the fun and try my hand at drafting my own pattern.